The CTC Source Protection Region was required to report on implementation activities for the first time in 2017. This report takes into consideration activities in 2016 and 2017. 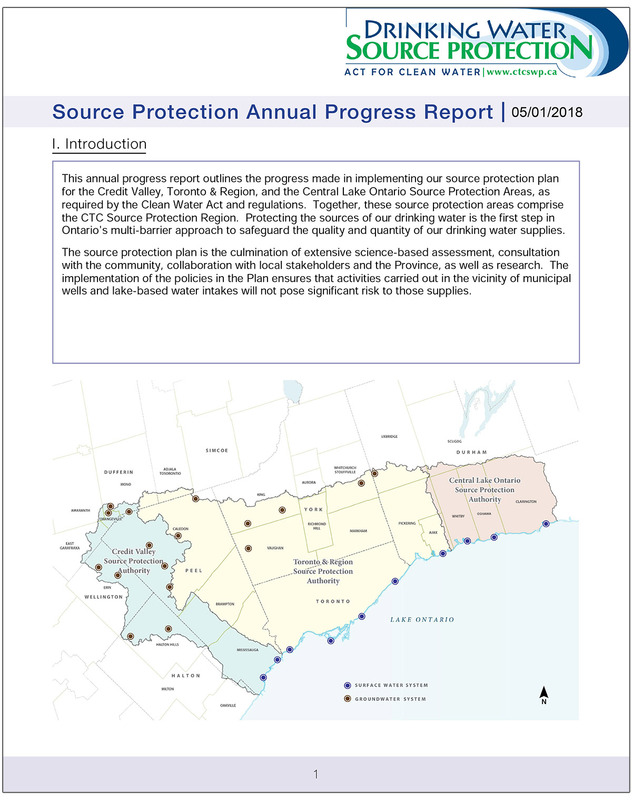 Annual Reports share progress made on implementing the Source Protection Plan, which in the CTC Source Protection Region came into effect in December 2015. Policies are implemented by Provincial ministries, municipalities, source protection authorities, and other identified organizations. In 2017, the CTC Source Protection Region was Progressing Well/On Target on implementing source protection policies.